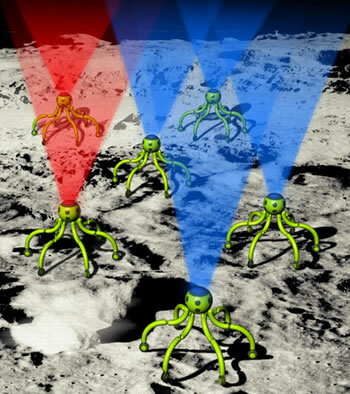 A spider-bot swarm (they were also calling them sphere robots) is Team Italia's plan for lunar exploration; they're hoping their idea can win the Google Lunar X Prize. 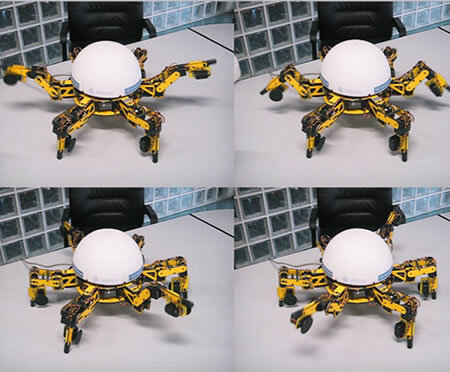 Spider-bots are the the vision of Alberto Rovetta, a professor of robot mechanics at Politecnico di Milano. "Team Italia has evolved," said Piero Messina, president of the Naples-based International Association for the Aerospace Culture (AICA) that is coordinating Team Italia. 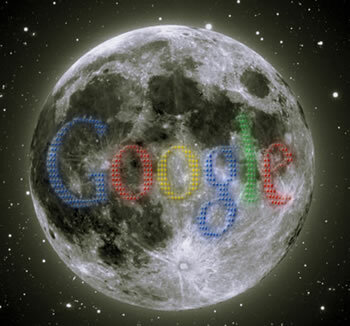 Messina helped pull together all the major Italian aerospace and engineering universities, as well as the two largest Italian aerospace companies, to support the race to land a robot on the moon by 2012. 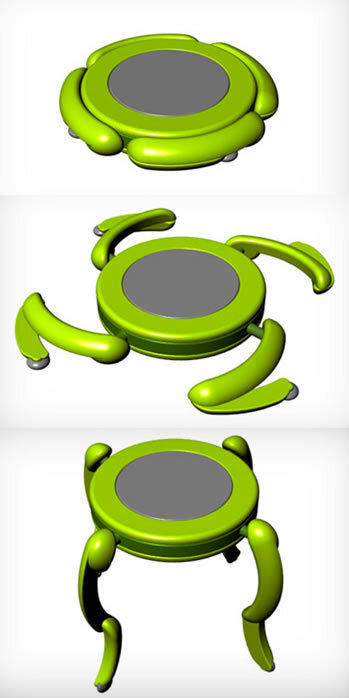 Their latest plan is to have disc-shaped spider-bots that fold up conveniently into a sort of "life saver" form, which can be stacked for efficient transport. 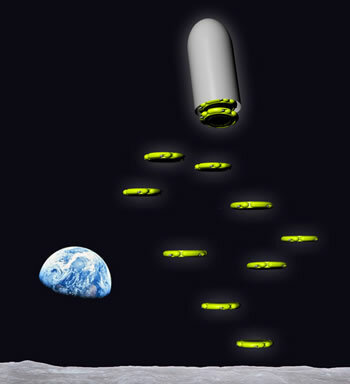 They can then be dropped off one at a time across the lunar surface. One sort of outrageous idea that Rovetta had is that they could have powerful LEDs on their bodies pointing up - for lunar advertising! Ten metres away was a slender-legged tripod surmounted by a spherical body no larger than a football. Set around the body were three large, expressionless eyes, apparently giving 360 degrees of vision, and trailing beneath it were three whiplike tendrils. The creature was not quite as tall as a man, and looked far too fragile to be dangerous, but that did not excuse their carelessness in letting it sneak up on them unawares. It reminded Norton of nothing so much as a three-legged spider, or daddy-long-legs, and he wondered how it had solved the problem - never challenged by any creature on Earth - of tripedal locomotion. Read more at Xprize.it; via Space.com.